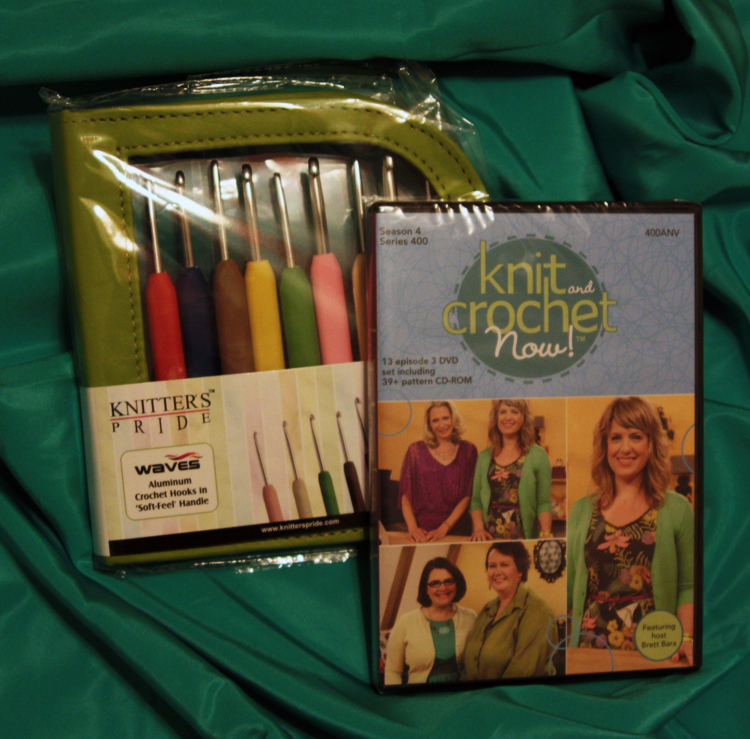 Congratulation to woodstockcate, our winner for this month's giveaway to win a DVD copy of Knit and Crochet Now Season 4 and a Waves Crochet Set! We have contacted woodstockcate via Ravelry PM to arrange for the delivery of her prize. Thanks to everyone who entered this month's blog giveaway! As 2013 winds down, we would like to wish our friends and fans a happy and healthy new year. May 2014 be filled with lots of knitting and crocheting! For our friends celebrating the holiday next week, we'd like to share a few of our favorite last-minute gift projects which can be easily completed in just a few days' time or less! 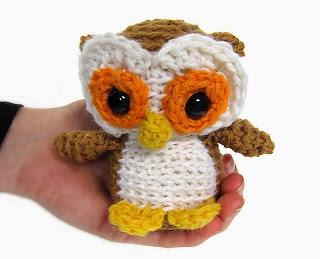 This little bird can be knit in just a few hours and is available as a free Ravelry download! 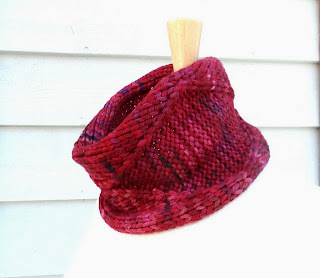 This free pattern can be knit with just a small amount of Bulky weight yarn. 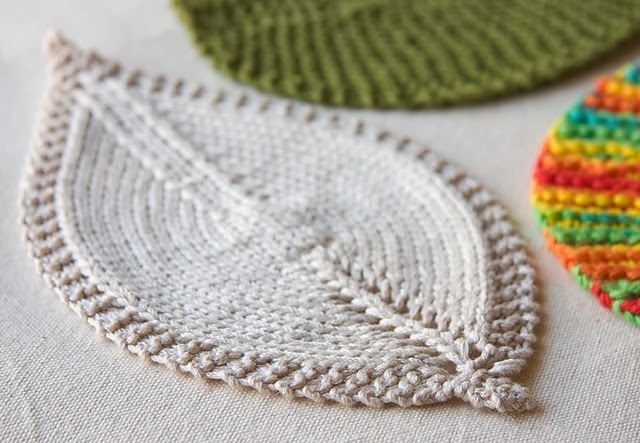 You need just 30 yards of yarn to knit each leaf, and the pattern can be made in various weights of yarn, too! 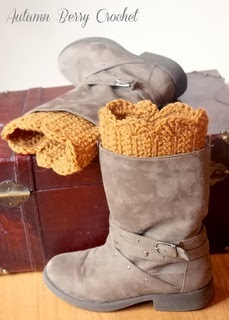 These boot toppers crochet up in a jiffy in worsted weight yarn, and the pattern is available for free on Ravelry! These wee owls can be crocheted with small amounts of worsted weight yarn! For more great last-minute gift ideas, check out the 2013 Knitter's Pride Holiday Gift Guide for crafty gift ideas such as our limited edition Karbonz gift set, the Box of Joy! Be sure to join us next Friday (December 27th) when we announce the winner of the December Blog Giveaway - you can click here to enter! Special Post + Giveaway: Knit and Crochet Now! On today's post, we have a special interview with Ellen Gormley, renowned crochet designer and resident expert on the Knit and Crochet Now! show. There is also an opportunity for one of our lucky readers to win Season 4 of the Knit and Crochet Now! 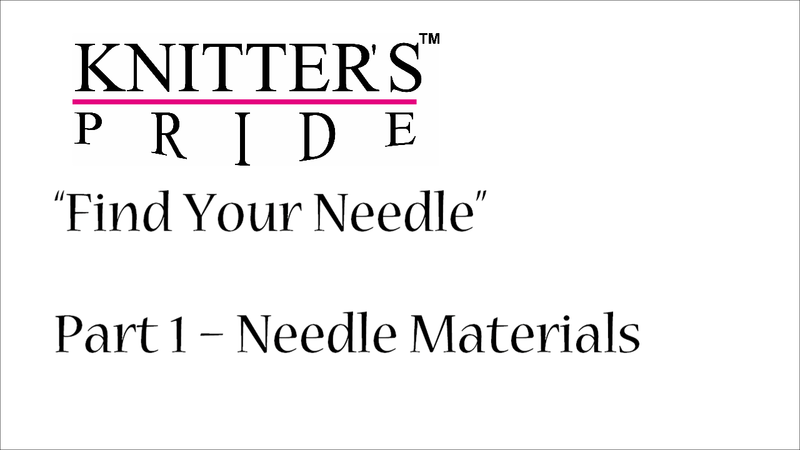 series on DVD and a set of Knitter's Pride Waves crochet hooks - read on for more information! What inspired you to try crochet? Do you do any other crafts? Crafting and crochet in particular was part of the culture of my family. My mom dabbled in many crafts but crochet was perhaps most dominant. My Great-Aunt lived next door and was an avid thread crocheter. I have practiced sewing, knitting, embroidery, quilting, latch-hooking but have found to crochet to be the most portable and compelling. I currently have a few knit projects in progress as well as crochet. What are your 3 essential tools for your preferred craft? My three preferred tools (besides hook and scissors) are my digital camera, for taking process photos and visual note-taking, a blunt tip tapestry needle, and locking stitch markers. I wish locking stitch markers were sold by the hundred and included at least 5 colors. Have you ever had a project go horribly wrong? When disaster strikes, do you try to make the best of it, or do you prefer to frog and start over again? Yes! I have had many projects go horribly wrong! I learned a real lesson in gauge early on when I crocheted a sweater that was probably 6 sizes too big...why didn't I try it on as I went? I try to "harvest" the yarn and frog out projects that didn't work to re-use the yarn. Sometimes when I have a horrible project, I put it in the back of the closet until I can get enough time and space to deal with it later. What is one tip you learned way too late in your crafting career? Something I wish I had learned earlier in my crafting life would be that it is ok to break the rules. Generally there are accepted ways of joining yarn, beginning a row, or joining a round, but just because the pattern describes the traditional methods, the crafter can switch to her preferred method. As a designer, I'm allowed to change it as long as I can adequately describe how it was completed. What do you see as the next big trend in crochet? The next big trend in crochet might be simple lace paired with DK weight yarns. I think crocheters yearn to make showstopping wearable accessories that are worthy of quality yarn. One lucky reader will be randomly selected to win a DVD copy of Knit and Crochet Now Season 4 and a Waves Crochet Set! To be eligible, simply leave a comment on this post telling us what Knitter's Pride products are on your wish list this year. Be sure to also include a Ravelry ID or email address so that we can contact you if you win! We'll randomly select one lucky winner to announce on our next blog post on December 27. Good luck! Many thanks to Ellen Gormley and the folks at Annie's Publishing for making this interview and DVD giveaway possible.